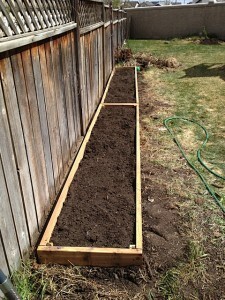 After building my own raised bed vegetable garden and feeding many people with the harvest, I had a lot of people asking me “Can you come and build me one?” This sparked an idea to offer a service to create a green yard for people including a ready to plant garden with healthy soil. 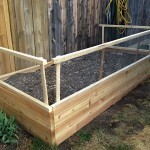 Have you ever wanted to grow your own herbs, vegetables or even fruit? 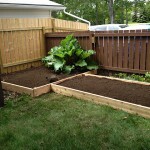 Do you worry about food production in the near future? Do you question what is in the food you consume or the unsustainable growing techniques used? 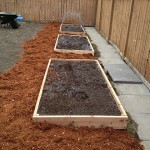 Many people are going back to growing their own food, you should too, and Dirt Boys can help. 1 rain barrel connected to your downspout with the attractive Watersaver downspout diverter, raised enough to easily get your watering can underneath. Location must be in Urban Calgary. All of this for only $750! 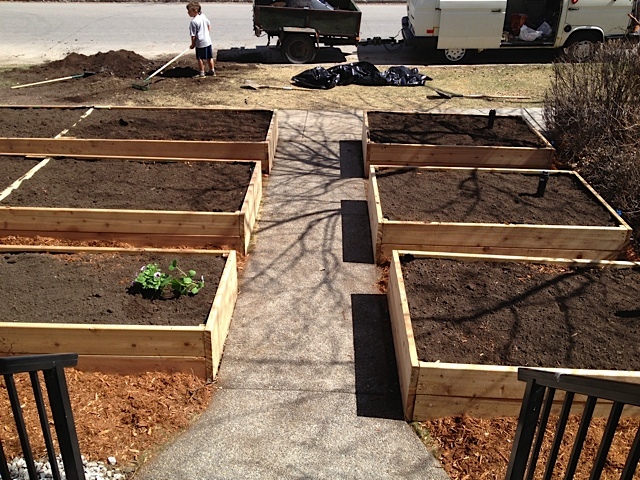 We are already booking this service for late April (weather dependent) so contact us today to book your new green veggie patch. 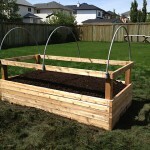 We can also quote modifications of this package, for instance if you want multiple rain barrels, multiple gardens, or other styles of gardens prepared.